Today’s Undergraduate Research and Creative Activities Forum started at 9 a.m. in Clark Student Center. But in reality, it’s been a work-in-progress with some of the research presented ongoing for months or even years. 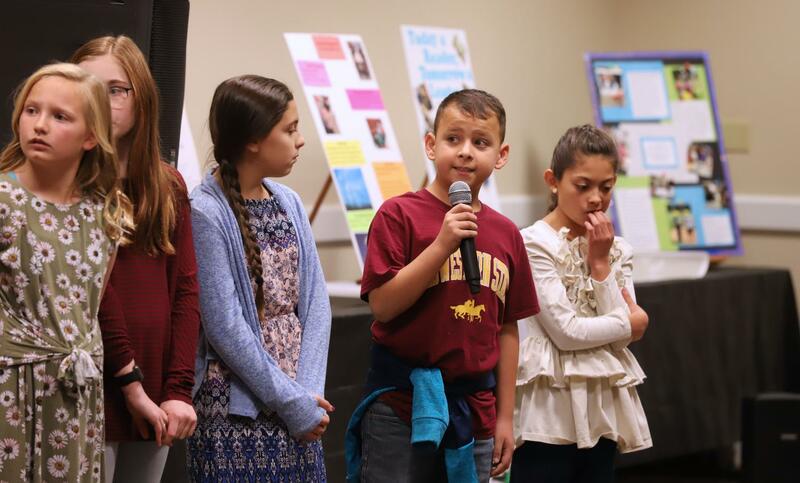 As part of the program, for the first time, students from Fain Elementary School presented their research with at least four students from each grade presenting. Rincon-Zachary said school officials approached MSU last spring asking if elementary students could present at the MSU Forum. 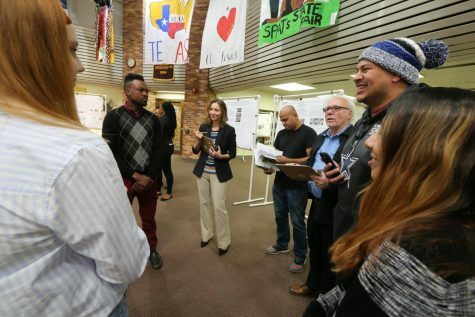 “They wanted to present what they’ve been working on,” Magaly Rincon-Zachary, director of undergraduate research, said. About 150 students from Fain Elementary School showed up to watch the four elementary school presentations. 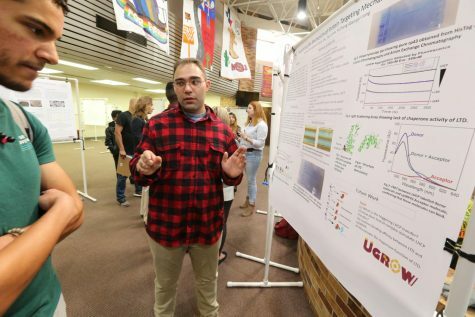 Kameron Shrum discusses his poster, “Deciphering the Mechanism of Protein Targeting Machinery in Chloroplasts,” at the Undergraduate Research and Creative Activities Forum, Nov. 15, 2018. Tarrah Miller, senior, biology | “I like research. I feel like it’s interesting and it builds your resume. When people look at your resume they want to see that you did more than studied in school. You have to have something else on your plate. I’m really interested in biology and so I guess you can say that’s why I chose to. 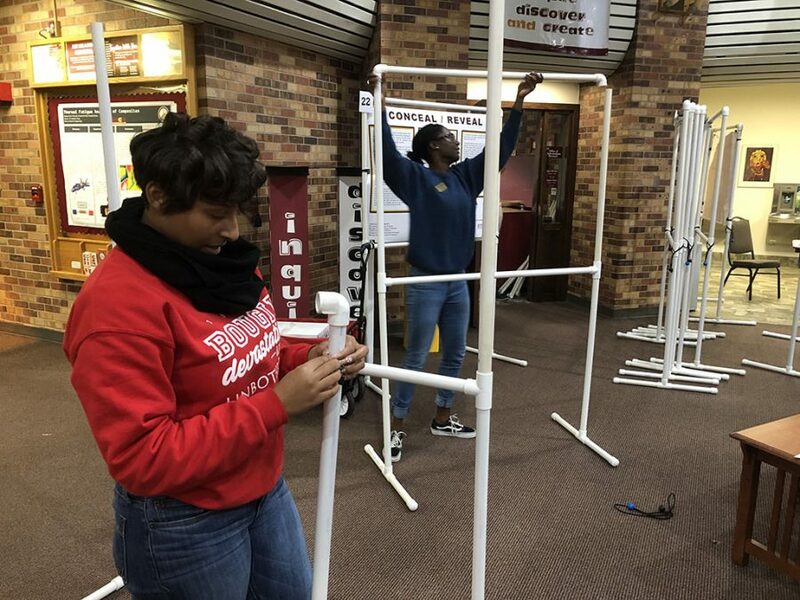 Jamaya Dixon, sophomore, nursing | “I attended this for an assignment for class and [it’s worth it] because you get to see what everyone is researching and studying and just support other students.